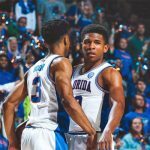 Picking up its first close-game win of the 2018-19 season, Florida Gators basketball triumphed Wednesday behind two tremendous plays from senior guard KeVaughn Allen, who did not have an otherwise productive night. Still, Florida (12-8, 4-3 SEC) picked up a key victory over the Ole Miss Rebels (14-6, 4-3 SEC) at home in the Stephen C. O’Connell Center, winning 90-86 in overtime. It was over when … Ole Miss guard Breein Tyree missed a three-pointer with 4 seconds to play in overtime. The Gators led by four with 17.9 seconds left in OT, but a tough inbounds play resulted in a turnover by Allen, and the Rebels capitalized by making a layup. However, on the ensuing possession, UF got the ball inbounds and freshman G Noah Locke hit two free throws to put the hosts back up four points in the waning seconds. Florida led by a game-high seven points with 14 minutes to play in regulation, but a 13-1 run by Ole Miss erased its deficit and saw the visitors go up five with 11 minutes left. A Locke three was part of a 7-0 run to put UF back in the lead, and another trey from Locke had the Gators in front by one with under 2 minutes left. 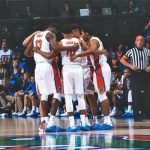 Two poorly timed missed free throws by freshman forward Keyontae Johnson prevented Florida from extending its lead to a trey, and Ole Miss capitalized by taking a three-point lead with 8.8 seconds to play. That is when Allen made his first save of the game, launching a well-defended triple near the UF bench to tie the game with 2.5 seconds left and ultimately force OT. Allen’s mojo ran hot once extra time began, and he contributed to a 7-0 run that put the Gators ahead 86-79 with 2:34 to play. 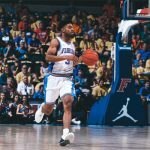 The Rebels were able to chip away and get that lead down to two, but a diving save on an offensive rebound by Allen gave Florida the ball back; two free throws later and UF had its game-winning margin. Exceptional efforts: Allen did not shoot well from long range (1 for 7), but he went 8-for-8 from the line and made 6-of-12 shots inside the arc for 21 points. Locke was tremendous, draining 6-of-11 triples for 22 points, and Johnson contributed a career-high 15 points on 7-of-11 shooting with six boards, though he missed all three attempts from the charity stripe and fouled out in 34 minutes. What it means: The Gators deserve to be commended for pulling out a tough victory and preventing the Rebels from jumping them in NCAA Tournament consideration. Still, Florida has a tough road ahead of it with plenty of potential Quadrant 1 wins on the table coming up, so this victory will be meaningless if it does not parlay it into some improved play going forward. 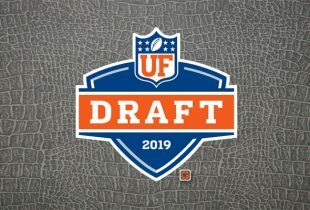 Up next: Florida will remain home to host No. 7 Kentucky in the O’Dome on Saturday at 4 p.m. ET. The game will air live nationally on ESPN. Its following two games are tough road contests against Auburn (first team out of the polls) and No. 1 Tennessee. Wow, I thought we were done for sure. Great victory, great effort. And yes, flashbacks of Patric Young. Go Gators! Johnson broke out tonight. Let’s hope they can keep it going.